EHF hat am Jan. 2019 eine Bewertung geschrieben. Dear 384ehf Thank you for your five star review of Dakota Glasgow. It is lovely to read you found the bedrooms to be spacious and modern and that you liked the Monsoon shower. I am delighted the hotel was ideal for your business meeting and that the staff were all helpful when you needed extra equipment. Great food, attentive staff and stylish surroundings are hallmarks of Dakota so it is good to know we are achieving what we set out to do and that you would stay with us again the next time you visit Glasgow. Hopefully we will welcome you back soon, and please do not hesitate to contact us on reservations@gla.dakotahotels.co.uk to assist with any future booking. Kuno K hat am Sep. 2018 eine Bewertung geschrieben. Dear Kuno K Thank you for your five star review on Dakota Deluxe. It is lovely to read you liked the hotel which is new and modern, the large bathroom with the monsoon shower and the very comfortable bed. Many of our guests like the ambiance of the hotel with the dark colours, but it is not to everyone's taste. The Sunday night package is great value for money and does include breakfast and a contribution towards dinner along with a late check out. Great food, attentive staff and stylish surroundings are hallmarks of Dakota so it is good to know we are achieving what we set out to do. Hopefully we will welcome you back soon, and please do not hesitate to contact us on reservations@dakotaglasgow.co.uk to assist with any future booking. Nikasam hat am Aug. 2018 eine Bewertung geschrieben. Dear Nikasam Thank you for your five star review of Dakota Deluxe. It is lovely to read you stayed with us at the start of your trip and found the hotel beautiful with great rooms and helpful staff. I am delighted you enjoyed your meal in the restaurant and liked the wine selection we have on offer. Great food, attentive staff and stylish surroundings are hallmarks of Dakota so it is good to know we are achieving what we set out to do and I hope we helped make this a memorable stay for you. Hopefully we will welcome you back to Glasgow sometime soon, and please do not hesitate to contact us on reservations@dakotaglasgow.co.uk to assist with any future booking. PrideofSpenger hat am Juli 2018 eine Bewertung geschrieben. Dear PrideofSpenger Thank you for your review of Dakota Deluxe. It is good to read you liked the location of the hotel and had a wonderful stay with us. Parking is always difficult in a city centre as space is at a premium but we are fortunate to have secured preferential rates in a nearby multi storey. In the evening parking is free around the hotel. Great food, attentive staff and stylish surroundings are hallmarks of Dakota so it is good to know we are achieving what we set out to do. Hopefully we will welcome you back again sometime soon, and please do not hesitate to contact us on reservations@dakotaglasgow.co.uk to assist with any future booking. ItaliaFan2013 hat am Juni 2017 eine Bewertung geschrieben. Hotel ok, aber sehr, sehr weit von fünf Sternen entfernt und für die Leistung zu teuer!!! Dear ItailaFan2013 Thank you for your taking the time to review Dakota Deluxe. Dakota does not advertise as a five star hotel as we have no star rating, however many clients give us five stars after staying with us. It is good to read you found the bed very comfortable and the bathroom modern and large. I'm disappointed you were not happy with breakfast and will certainly pass your comments onto our restaurant team. My apologies with the mix up at the airport. The concierge was there but was not able to get hold of you. It is unfortunate that you had to get a taxi but we immediately reimbursed you for this cost. We strive to deliver consistently high levels of service, and I am sorry that this was not evident during your recent stay. We are very focused on getting things consistently right as seen by the many five star ratings we receive, and gain nothing when a guest leaves Dakota with anything other than a very positive impression, and for that I apologise. 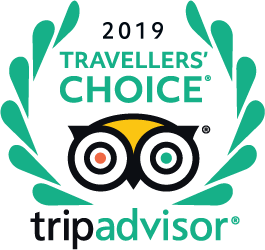 Please contact us on guestrelations@dakotaglasgow.co.uk if you wish to return, and we would be more than happy to try and make your stay memorable for the right reasons. julie c hat am Mai 2016 ein Foto veröffentlicht. Dakota473 hat am März 2016 ein Foto veröffentlicht. Robert Cochrane hat am 9. Apr. eine Frage gestellt. Can you tell me if the mini bar in the signature suite is free ? The contents of the mini fridge in the Signature suite are complimentary. ColinAllCar hat am März 2019 eine Frage gestellt. Car parking options please ? Good afternoon. We have two car parks to offer our overnight guests at a reduced rate of £12 for 24 hours. One in Cambridge Street and one in Elmbank Street. Drop off your bags at the hotel and the concierge will give you directions. Both are only a few minutes walk away. At the weekend there are meters around the hotel which are free from 6pm on Saturday until 8am Monday. We look forward to welcoming you. Robert Cochrane hat am März 2019 eine Frage gestellt. Has the executive room got a stocked mini bar? The Executive room does have a complimentary stocked mini fridge which includes beer, soft drinks and snacks. Good afternoon The Hydro is about a 10-12 minute walk to Lebowskis in Finneston or if driving it is about 5 mins. Parking however can be quite difficult. I hope this helps. hgmck hat am Okt. 2018 eine Frage gestellt. Good morning. No we do not have a Bloody Mary station at breakfast but a Bloody Mary can be ordered from the team. Look forward to welcoming you to the hotel.